Hello, my name is Jason White. I am a fully insured Chimney Sweep working in Derby, Nottingham and anywhere inbetween. I am registered with the Guild of Master Chimney Sweeps. I supply a fully backed certificate for your insurance with every sweep. I am also a HETAS approved stove fitter. I carry public liability insurance for both mine and your peace of mind. Here is some advice on buying wood! 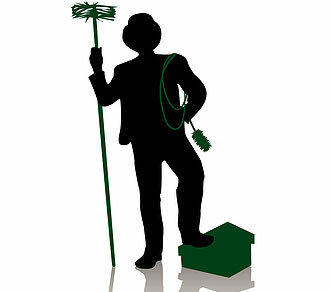 Many Derby chimney sweeps are complete professionals in everything chimney-related. As such, you might be surprised as to the advice one can offer you! This article looks at some of the best advice on making sure you choose the right fuel to feed your fire. Did you know that up to 45% of your firewood can be made of water? Maybe you did, maybe you didn’t – but it’s absolutely true. And it doesn’t take an expert to tell you that water isn’t the best burner. When you’re looking for the best quality firewood for your fire, you really need to think about what’s in it. According to expert chimney sweeps in Derby, the best quality firewood contains between 20-25% water – this is known as ‘seasoned firewood’ and will generally burn better, burn longer and provide more heat. So what else do Derby chimney sweeps have to advise about the firewood you buy? That’s right. Buying the right firewood is only actually half the battle – if you want to give your fire the very best, you need to make sure you store it properly. Remember: It doesn’t matter how high the quality of your wood is, you still need to keep your stack clean. Make sure that if you use your fire regularly, you also employ a chimney sweep regularly. Not only can a decent Derby chimney sweep offer sound advice and expert input on chimney-related matters, but he or she will be able to keep your chimney in good shape and ready for anything, without the mess and without the dangers an open fire can pose.